A quick and easy freebie for you all! 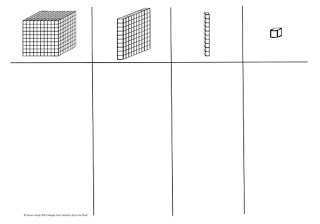 Simply print it out, enlarge and laminate a class set and you will be amazed how many uses you find for it in the classroom! 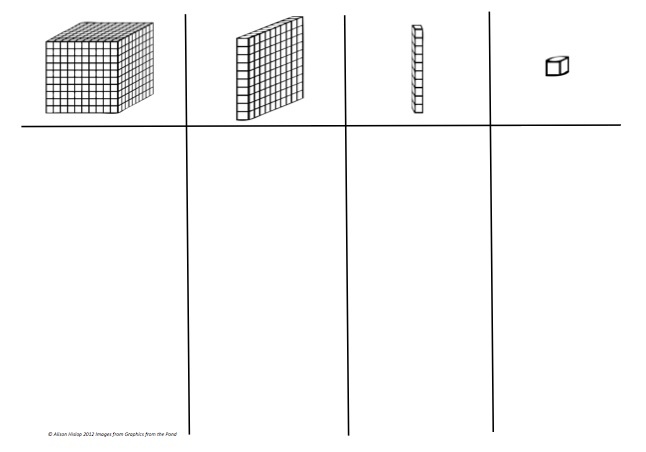 This Place Value Board shows the MAB equivalent of ones (or units), tens, hundreds and thousands. We play games with them, use them for addition, subtraction, multiplication and division sums as well as demonstrating place value. You will need a copy of the board between 2, a dice (6 or 10) and counters, buttons, MAB or icypole (popsicle) sticks. Simply start with zero icypole sticks. Roll the dice, add that number of icypole sticks to the ones column. Continue to do this until you can trade for a ten. Icypole sticks are great because you can just tie a rubber band around groups of ten to demonstrate a bundle. Continue rolling the dice and trading 10 ones for a ten until you get to 100! I played it with Grade 1 and we had race to 40. But with my Grade 3's we play race to 1000! We just use MAB because nobody has that many icypole sticks! Download it for FREE from my TPT store or TM store. If you do download it, I would appreciate some feedback to let me know what you think! Thanks!